I’m posting a basic recipe since it’s so easy to modify. Add some mayonnaise, peas, and bacon, you have a creamy pasta salad. 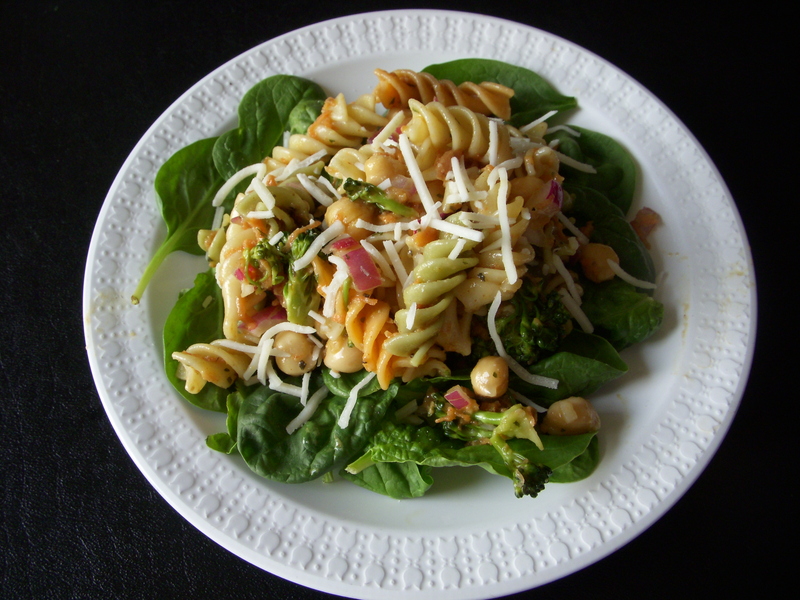 Egg crumbles, spinach, sliced red onion, and bacon and you’ve got a spinach pasta salad. Add green onion, brown sugar, and ginger to the basic recipe and you have an Asian style salad. Add peanut butter, and red bell pepper to the Asian style and you have Thai. The list goes on. Experiment for yourself, or just leave it basic. Perfect for a potluck or on a hot summer day. Start by getting your pasta ready. Boil according to the manufacturer’s direction for al dente pasta. 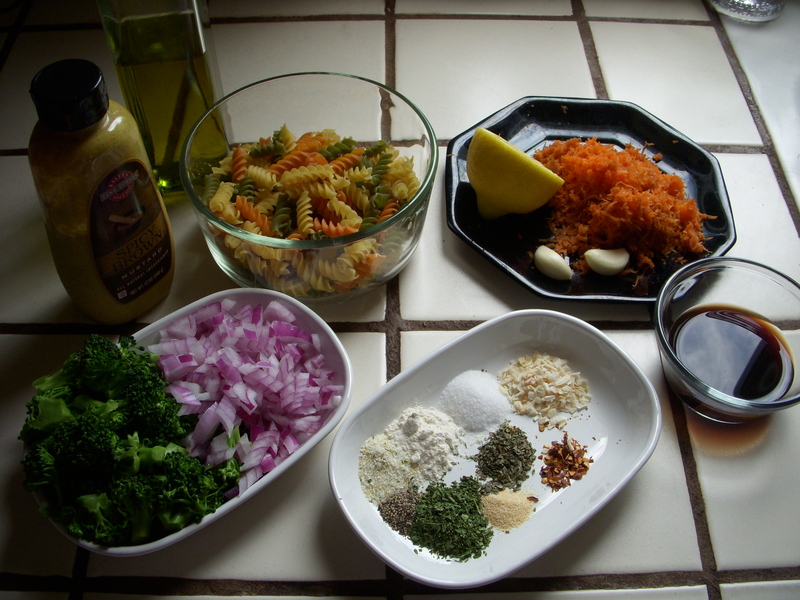 While your pasta is cooking, in a medium bowl whisk the water, oil, vinegar, lemon juice, garlic, sugar, salt, pepper, thyme, basil, parsley, garlic salt, onion powder, and red pepper flake. 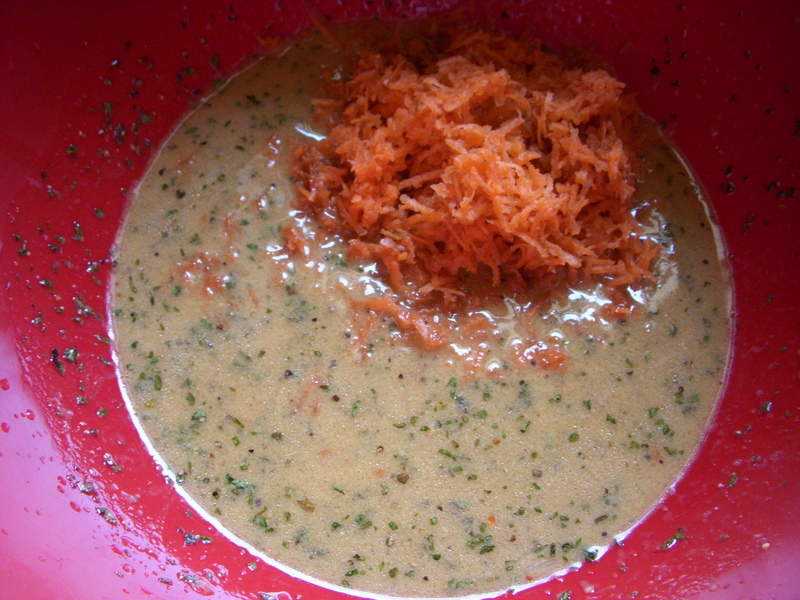 then stir in the carrot. 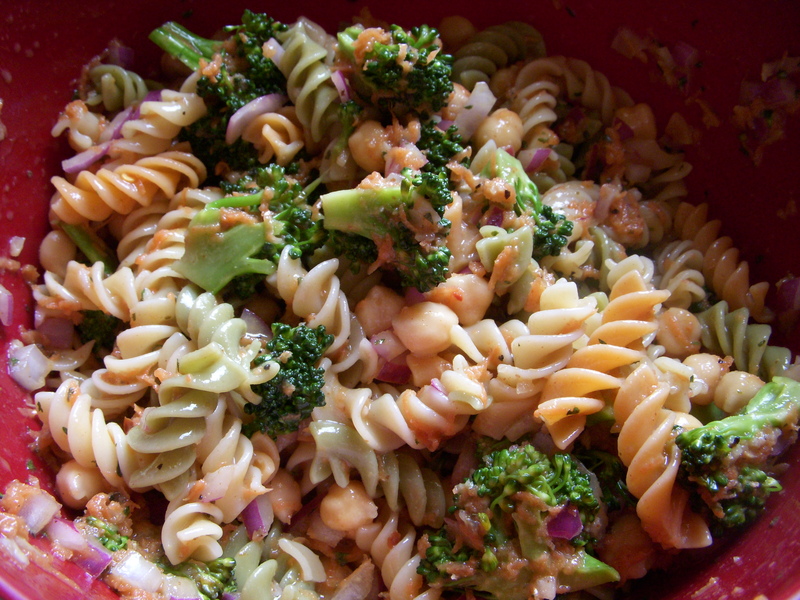 Stir in your broccoli, onion, and any other add-ins. Then set aside. 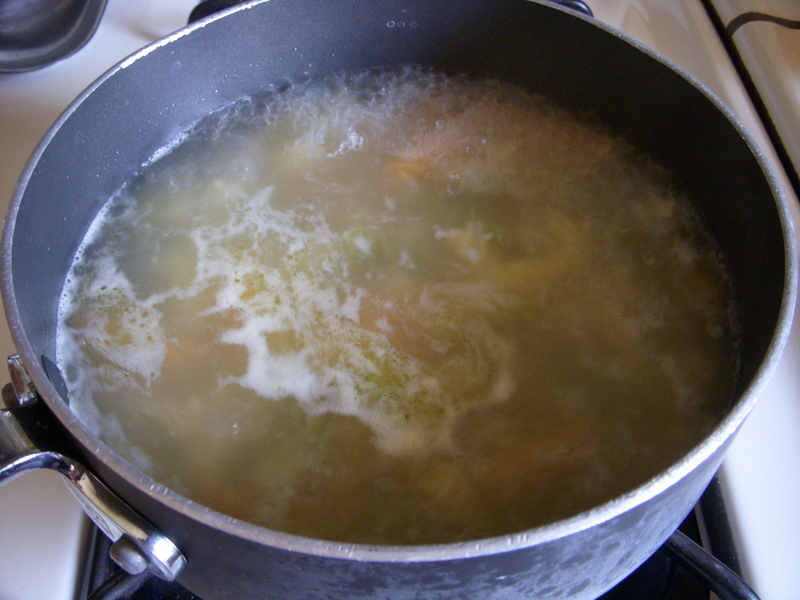 When the pasta is finished cooking, rinse thoroughly under cold water to stop it from cooking further. 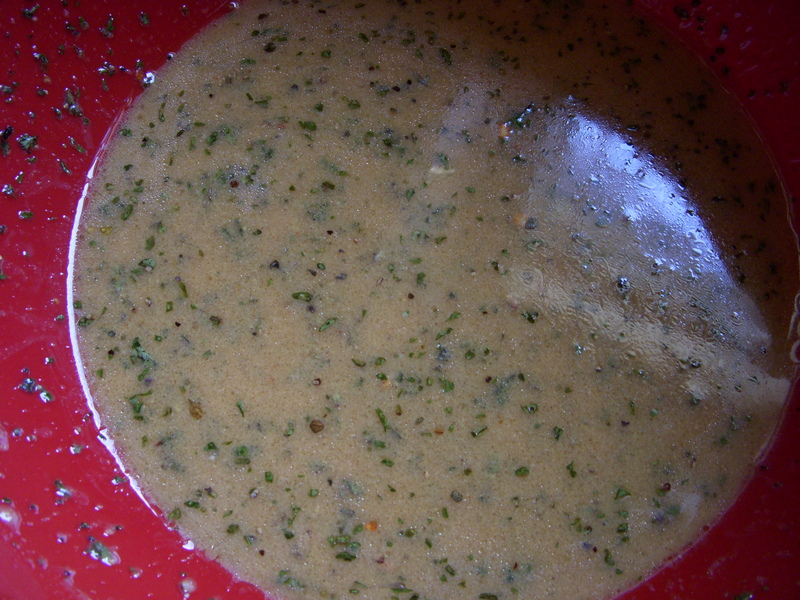 Drain,and add to the veggie-vinegrette mix. Stir, cover and refrigerate for at least an hour before serving. Stir once again before serving. 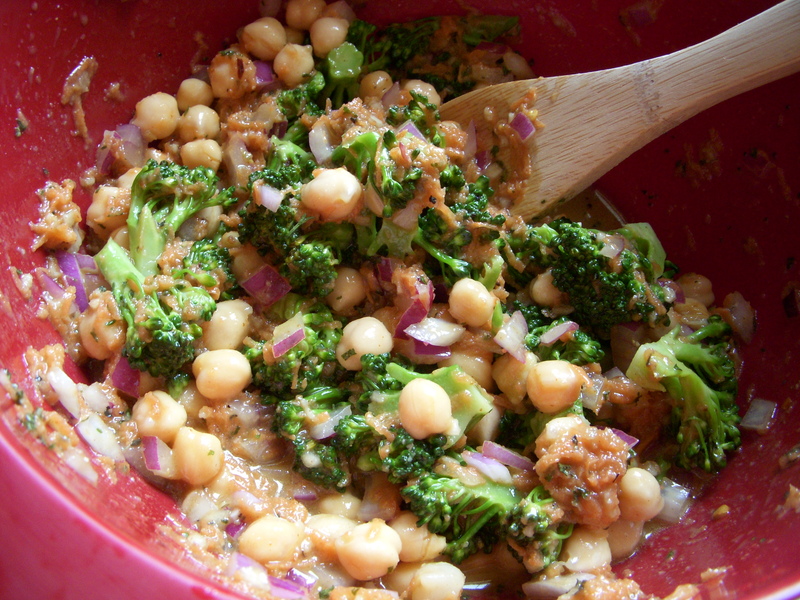 Southwestern style: Add 1 packet of taco seasoning to the vinegrette, omit broccoli, add corn and olives. Top with cheese. 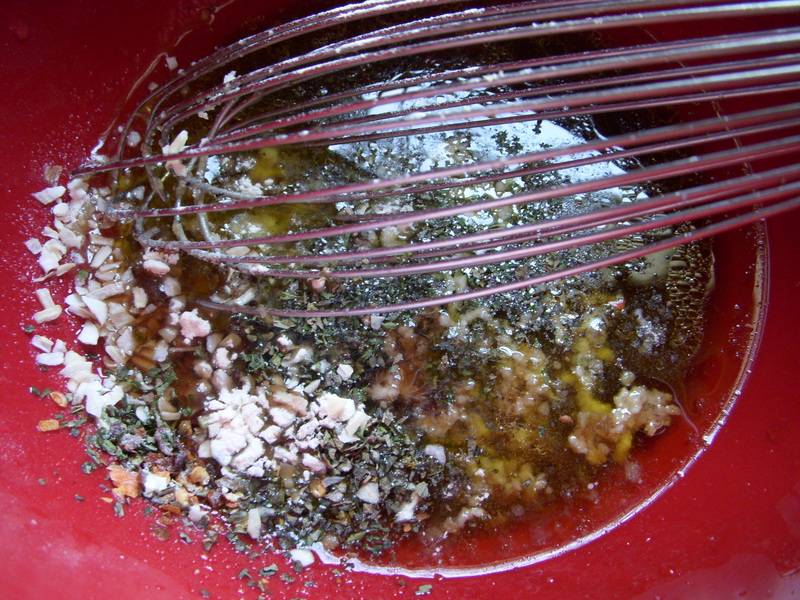 Greek: Whisk 2 tsp oregano into vinegrette. Stir in 1/3 cup chopped peppercini, 1/2 chopped cucumber, a handful of kalamata olives, 1 cup of chopped salami, and 1/2 cup of crumbled feta cheese.